LUXEMBOURG--(BUSINESS WIRE)--SES S.A. announced solid financial results for the three months ended 31 March 2018. Group revenue and EBITDA were delivered in line with the company’s expectations, with strong underlying revenue growth in SES Networks. Group revenue of EUR 477.6 million (Q1 2017: EUR 540.6 million) and EBITDA of 304.4 million (Q1 2017: EUR 357.6 million) was in line with the company’s expectations. Q1 2018 underlying revenue (excluding periodic and other) was EUR 474.5 million, representing a stable development compared with Q1 2017 at constant FX. SES Video’s underlying revenue of EUR 321.5 million was EUR 12.2 million (or 3.6%) lower than Q1 2017 at constant FX including a reduction of EUR 9.2 million from the combined impact of IFRS 15 accounting changes and satellite health. Excluding these temporary factors, underlying revenue was 0.9% below Q1 2017. SES Networks’ underlying revenue of EUR 153.0 million was EUR 12.0 million (or 8.5%) higher than Q1 2017 at constant FX. This reflected strong positive contributions from Mobility (+30.4%) and Government (+13.0%), while Fixed Data revenue (-6.0%) was affected by the lost revenues as a result of the satellite health issues that occurred in H2 2017. Periodic and other revenue in Q1 2018 was EUR 3.1 million compared with EUR 27.7 million in Q1 2017 at constant FX which included an important up-front contribution from the sale of capacity to Global Eagle Entertainment. EBITDA margin of 63.7% (Q1 2017: 66.2%) included a restructuring provision of EUR 5.0 million associated with SES’s on-going optimisation programme. Excluding this item, the EBITDA margin was 64.8%. A further provision of EUR 5-7 million is expected to be taken in Q2 2018, bringing the total amount to EUR 10-12 million. Net profit attributable to SES shareholders of EUR 98.2 million (Q1 2017: EUR 128.4 million) included a positive tax contribution related to the recognition of a deferred tax asset following the entry into service of SES-16/GovSat-1 which is not expected to repeat. Net debt to EBITDA ratio (per the rating agency methodology) was 3.41 times (Q1 2017: 3.05 times). This increased from 3.27 times at Q4 2017 due mainly to the decrease in 12-month rolling EBITDA caused by FX, lower periodic and other revenue, IFRS 15 accounting change and the restructuring provision, as well as the higher proportion of capital expenditure and interest payments in Q1 2018. Net debt to EBITDA is expected to be below 3.3 times at the end of 2018. In March 2018, SES secured an eight-year EUR 500 million Euro Bond at a low annual coupon of 1.625% which allows SES to refinance an upcoming debt maturity at more favourable terms. SES’s fully protected contract backlog at the end of Q1 2018 stood at EUR 7.2 billion (Q1 2017: EUR 7.2 billion at constant FX). Over 85% of the 2018 expected group revenue is already contractually committed. The current financial outlook, as presented in February 2018, remains unchanged and an update will be provided with the H1 2018 results announcement, following the internal review by the incoming CEO and CFO. SES Video’s underlying revenue in Q1 2018 was EUR 12.2 million (or 3.6%) lower than Q1 2017 at constant FX including the combined impact of the implementation of IFRS 15 accounting changes and satellite health (totalling EUR 9.2 million). Excluding these temporary factors, underlying revenue was 0.9% lower than Q1 2017. Q1 2018 included EUR 2.9 million of periodic revenue in Video Distribution, compared with EUR 3.5 million in Q1 2017. At Q1 2018, SES distributed 7,773 total TV channels globally, up 2% compared with Q1 2017. This positive development reflected growth across European and International markets, while North America was stable. 65.4% of total TV channels are now broadcast in MPEG-4 (Q1 2017: 63.1%). Acceleration of High Definition (HD) and Ultra HD (UHD) TV channels in Europe was a key driver of a 7% (YOY) growth in the global number of HDTV channels, now totalling 2,665, while the total number of commercial UHD channels increased from 22 to 32 compared with Q1 2017. Video Distribution underlying revenue in Q1 2018 was 4.2% lower than Q1 2017. European distribution revenue was stable compared with Q1 2017 and SES Video signed important capacity extension agreements with Viacom and M7 Group, as well as launching a new UHD channel for Canal+ in France. North America decreased as anticipated due to the lower volume from the switch-off of SD TV channels that had already been replaced with HD, as well as lower revenue from the occasional use business which was affected by the loss of AMC-9. 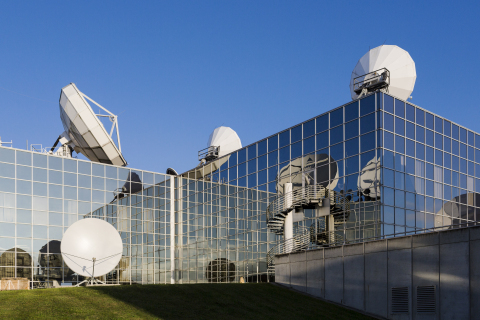 During Q1 2018, SES Video enabled NBC Sports Group to provide 4K High Dynamic Range satellite distribution of the 2018 Winter Olympics to their affiliates throughout the U.S. In International, there is an encouraging commercial pipeline for SES-9 and SES-10 which will support the gradual ramp up of these new assets. This will offset the impact of market conditions which remain challenging in the near term, contributing to lower (year-on-year) underlying revenue. For example, SES Video recently signed an agreement to support Kiwisat in launching a new direct-to-home offering of 130 TV channels (including 90 in HD) in the Caribbean using SES-10. SES served a total of 351 million TV households in 2017 (compared with 325 million households in 2016) across its video neighbourhoods. Video Services underlying revenue was 2.0% lower in Q1 2018 versus Q1 2017 due to the impact of IFRS 15 accounting changes which led to a year-on-year reduction of EUR 8.2 million in HD+, with no cash impact. Excluding the accounting change, video services grew by 8.4% (or EUR 6.6 million) year-on-year. The HD+ business grew as a result of the increase in the annual subscription fee (from EUR 60 per annum to EUR 70 per annum) that was introduced at the start of Q2 2017. The increase in the fee will allow HD+ to expand and enhance the customer experience, as evidenced by the agreement with RTL, announced this week, for HD+ to broadcast live Formula OneTM Grand Prix races in UHD. This was complemented by stability in MX1 revenue as new business in Europe, bundling capacity and services, offset non-renewal of certain legacy contracts. The global media services provider is now delivering content aggregation solutions for 1&1, Germany’s first fully cloud-based TV service. TVGE International has contracted MX1 to distribute its video content on linear platforms using satellite, as well as via video-on-demand services and web applications. Agence France-Presse is now using MX1’s cloud-based service (MX1 360) to transmit news feeds to broadcasters around the world. Q1 2018 underlying revenue was EUR 12.0 million (or 8.5%) higher than Q1 2017 at constant FX reflecting new revenue in aeronautical mobility from the entry into service of SES-15, further adoption of Medium Earth Orbit (MEO) services by the U.S. Government and additional growth in Global Government. There was no periodic revenue in Q1 2018, where Q1 2017 included the second of two significant up-front revenue contributions from the sale of capacity to Global Eagle Entertainment. Fixed Data underlying revenue in Q1 2018 was down 6.0% year-on-year, primarily due to the ongoing impact from the loss of AMC-9 in June 2017. This offset a positive contribution from new managed services supporting telecommunications companies and mobile network operators, notably utilising O3b which will benefit from the additional four MEO satellites that will join the constellation during Q2 2018. Revenue in the Americas remained stable as the satellite health issues related to the failure of AMC-9 offset revenue growth from new business, notably in Latin America. Fixed Data revenues in Europe, the Middle East and Africa were impacted by lower wholesale capacity revenue offset by positive momentum on the O3b fleet where new projects and customer upgrades continue to grow, including with CETel for big data applications in the exploration and mining production industry in Africa. In Asia-Pacific, SES Networks signed and implemented an important new network with mu Space, delivering reliable and affordable connectivity for a significant increase in mobile and WiFi coverage in Thailand, where only a small proportion of the population currently has broadband access, as well as extending and substantially expanding business with Palau Telecom on the O3b fleet as part of its 4G implementation plans. Mobility underlying revenue grew by 30.4%, versus Q1 2017, driven by strong demand from aeronautical service providers in North America following the entry into service of SES-15 in January 2018. 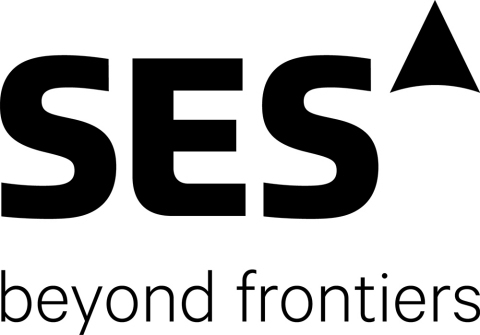 SES-15 is now one of the leading satellites for delivering inflight connectivity and entertainment services in partnership with major global service providers such as GEE, Gogo and Panasonic Avionics. Gogo is already utilising the satellite to provide a ‘home-equivalent’ broadband experience and added more than 200 aircraft within the first operational month. In April 2018, Sputnik Telecommunications Entertainment Company (STECCOM) signed an agreement to utilise SES capacity and associated services to serve commercial passenger across the Commonwealth of Independent States region and Europe. Maritime revenue was broadly flat year-on-year but SES Networks continues to make good progress in cruise. In February 2018, SES Networks demonstrated that passengers at sea can now access the internet at speeds better than typical land-based hotel connectivity by delivering more than two gigabits per second of bandwidth to Carnival Corporation and Princess Cruises’ Regal Princess as part of a special event. SES Networks has now been contracted to deliver connectivity services for four major cruise companies, enhancing its leading position in this part of the market. Government underlying revenue grew by 13.0% in Q1 2018, compared with Q1 2017, driven by strong growth in both the U.S. and Global Government business. Significant incremental adoption of SES Networks’ O3b based services by the U.S. Department of Defense was the main driver of growth in U.S. Government revenue with more than 20 sites in operation and more than five gigabits per second now under contract, most recently with U.S. Africa Command. This was complemented by strong growth in Global Government where SES Networks recently extended and expanded its commitment to serve humanitarian and peace keeping operations. In March 2018, SES-16/GovSat-1 entered operational service to provide secure government and institutional communications over Europe, the Middle East and Africa. Other includes revenue not directly applicable to SES Video or SES Networks and was EUR 0.2 million in Q1 2018, compared with EUR 5.5 million (EUR 4.8 million at constant FX) in Q1 2017. Q1 2018 was an important and successful period, as SES-14, SES-16/GovSat-1 and four additional O3b satellites (satellites 13 to 16) were launched, adding important future growth capabilities. SES-16/GovSat-1 entered into service in March 2018, while SES-14 is expected to enter into service in late 2018. The next four O3b satellites (satellites 13 to 16) are expected to enter into service by the end of Q2 2018 and will augment the existing constellation of 12 MEO satellites. Reported revenue of EUR 477.6 million was EUR 63.0 million lower than the prior period, including a reduction of EUR 38.4 million as a result of the weaker U.S. dollar. At constant FX, revenue decreased by EUR 24.6 million reflecting the higher level of periodic and other revenue in the prior period. On an underlying basis, SES generated revenue of EUR 474.5 million in Q1 2018, which was in line with Q1 2017 at constant FX and up 2.3% excluding the impact of EUR 10.9 million resulting from the changes in IFRS 15 accounting and satellite health on both SES Video and SES Networks. Operating expenses of EUR 173.2 million (Q1 2017: EUR 183.0 million) were EUR 9.8 million lower as reported and EUR 4.3 million higher at constant FX in Q1 2018 which included a restructuring provision of EUR 5.0 million as part of the roll-out of a company-wide optimisation programme. Operating expenses were in line with Q1 2017 at constant FX excluding this provision. Group EBITDA was EUR 304.4 million, down EUR 53.2 million as reported (EUR 28.9 million at constant FX) compared with Q1 2017. This represented an EBITDA margin of 63.7% (Q1 2017: 66.2%) including the restructuring provision. A further provision of EUR 5-7 million is expected to be taken in Q2 2018. Reported depreciation and amortisation expense reduced by EUR 5.3 million to EUR 165.6 million. This reflected the impact of the weaker U.S. dollar which more than offset an increase of EUR 8.9 million at constant FX from the entry into service of new satellites. Group operating profit of EUR 138.8 million (Q1 2017: EUR 186.7 million) represented an operating profit margin of 29.1% (Q1 2017: 34.5%) including the restructuring provision of EUR 5.0 million. Net financing costs of EUR 35.9 million were EUR 6.2 million higher than Q1 2017 which included a net foreign exchange gain of EUR 7.1 million. Excluding this gain, net financing costs were in line with the prior period as lower capitalised interest was offset by lower net interest expense. The recognition of a one-time deferred tax asset relating to SES-16/GovSat-1, which entered into service in March 2018, was the principal reason for the positive income tax contribution of EUR 10.1 million (Q1 2017: EUR 27.7 million expense), as well as the increase in non-controlling interests to EUR 14.8 million (Q1 2017: EUR 0.9 million). The group’s normalised effective tax rate was 21.9% in Q1 2018 (Q1 2017: 17.7%). Consequently, net profit attributable to SES shareholders was EUR 98.2 million (Q1 2017: EUR 128.4 million) and earnings per share was EUR 0.19 (Q1 2017: EUR 0.26) after deducting the coupon (net of tax) for the group’s hybrid (perpetual) bonds. The group net debt to EBITDA ratio (as per the rating agency methodology which treats the hybrid bonds as 50% debt and 50% equity) was 3.41 times (Q1 2017: 3.05 times). The ratio increased from 3.27 times at Q4 2017 due to the decrease in twelve-month rolling EBITDA caused by the lower revenue (mainly FX impact, periodic and Other revenue), the IFRS 15 accounting change and the restructuring provision. The net debt to EBITDA ratio is expected to be below 3.3 times at the end of 2018. In March 2018, SES secured an eight-year EUR 500 million Euro Bond, achieving a low annual coupon of 1.625%. This financing allows SES to refinance an upcoming debt maturity at more favourable terms.